1914 Lincoln Wheat Penny coins definitely register a loud “ping” on coin collectors’ radars, most particularly because that was the first year since 1909 that a significant rarity came from the Lincoln Penny series. In fact, 1914 hosts two considerably scarce issues – the 1914-D and the 1914-S. Most notable among the two branch Mint issues is the 1914-D Lincoln Penny, which is a coin that places in second only behind the 1909-S VDB Lincoln Penny in terms of rarity for any of the regular-strike Lincoln Pennies. Three different Mints produced the 1914 Lincoln Wheat Penny: Denver, Philadelphia, and San Francisco. 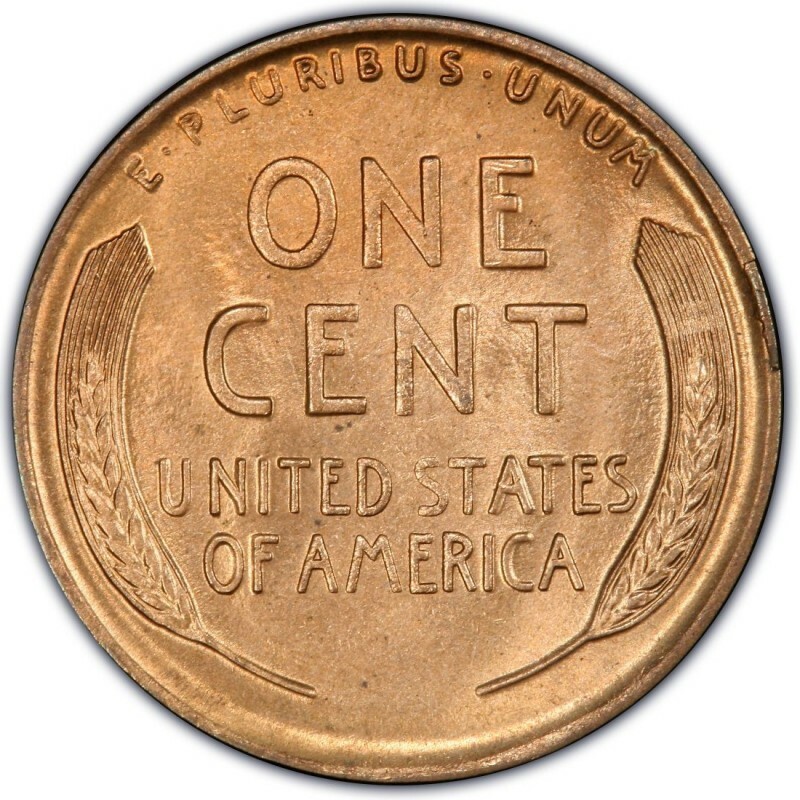 Each Mint placed "mintmarks" on the obverse (front) side of the Pennies just below the date on the lower right-hand side. The Denver Mint used a “D” and the San Francisco Mint used an "S". The main Mint in Philadelphia did not use a mintmark. 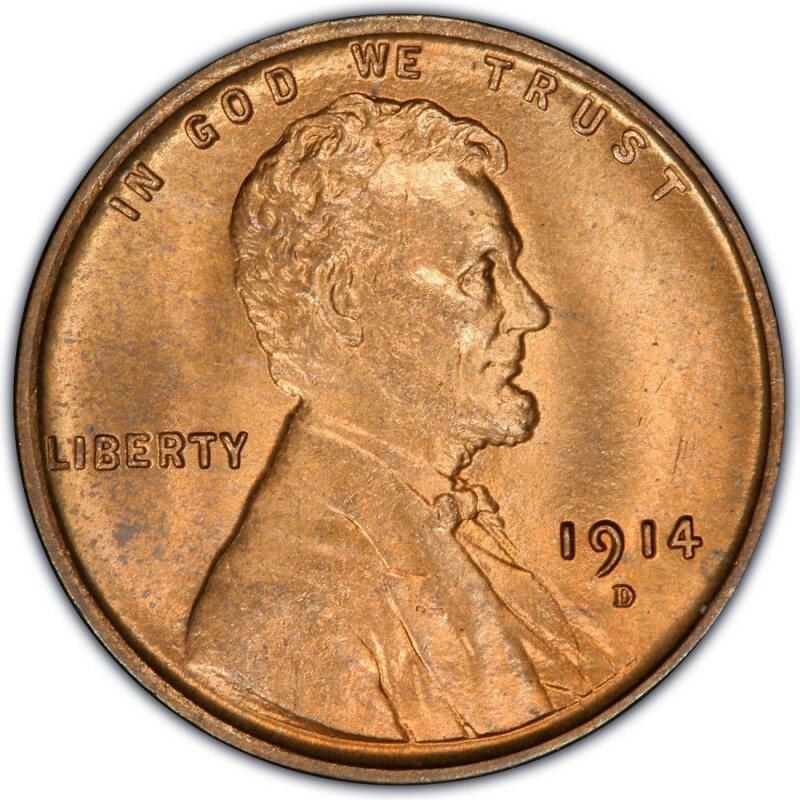 The 1914-D Lincoln Penny has a very low mintage of just 1,193,000 – a number that actually is not the second-lowest regular-issue mintage in the series (that honor would go to the 1931-S Lincoln Penny). However, the 1914-D Lincoln Penny is a coin that saw heavy circulation, and unfortunately many of them have been lost to the sands of time, damaged in some way, or have been cleaned, which means that only a share of the original 1,193,000 1914-D Lincoln Penny actually exist and are considered collectible by numismatists. 1914-D Lincoln Wheat Penny coins are worth around $175 and up in the lower circulated grades. Another 1914 coin that registers a hit in the scarce column is the San Francisco issue. While not nearly as rare as the 1914-D, the 1914-S is still a scarce coin with an original mintage of 4,137,000. The 1914-S is worth around $20 and up in circulated grades. The most common variety of 1914 Wheat Pennies is that from the Philadelphia Mint, which struck 75,238,432 Pennies; these are worth around 60 cents and up. The only other notable variety of 1914 Wheat Penny coins is the 1914 proof. These have a matte surface, squared-off rims, a sharp design, and a value of around $350. Your 1914 penny was therefore made at the Philadelphia Mint is there is no mintmark. It's worth around 20 to 50 cents assuming it's in well-worn condition. I have a 1914 D wheat penny, what is it worth?